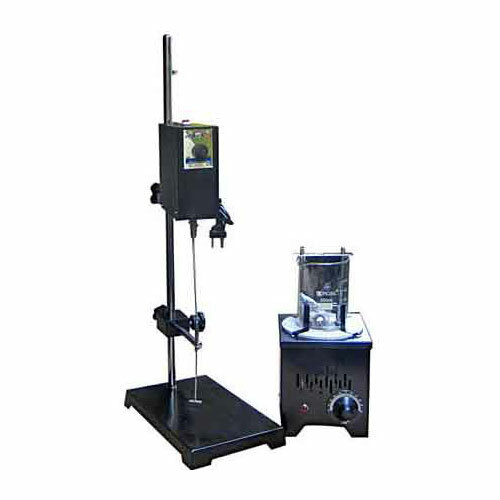 Ring And Ball Apparatus (Electrical) Description:SE-Test India’s is a reputed name in the manufacturing industry for their testing apparatus or instrument, which they are supplying & exporting across the globe. Their Ring and Ball Apparatus Electrical apparatus with model no. SET-1301 is compliant to ASTM D36, AASHTO T 53, BS 2000 industry standards. Ring and Ball Apparatus Electrical is used to determine the softening point of the bituminous material. Softening point is that temperature at which the sample or specimen taken for test becomes the soft enough that allows the steel ball of certain or specific dimension to fall at a required distance under defined test condition. Supplied with heater and energy control regulator for electrical heating. Comes with electric motor driven Stirrer. Supplied with a bath of heat resistance for each unit. A Tapered Rings 2 Nos. B Ball Centering Guide 2 Nos. C Steel Ball, of 9.5mm dia. 2 Nos. D Ring Holder 1 No. E Electric Heater (Hot Plate) 1 No.